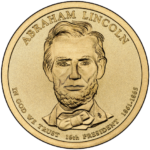 Coin collecting is among the most well-known hobbies worldwide – and for good reason! It’s fun, it’s educational and it provides both children and adults with countless hours of entertainment. Additionally, compared to many other hobbies, it’s relatively easy to jump right into. However, this isn’t to say that you shouldn’t educate yourself before starting a coin collection. There are a number of tips novice collectors should take into account to ensure success with their new hobby.